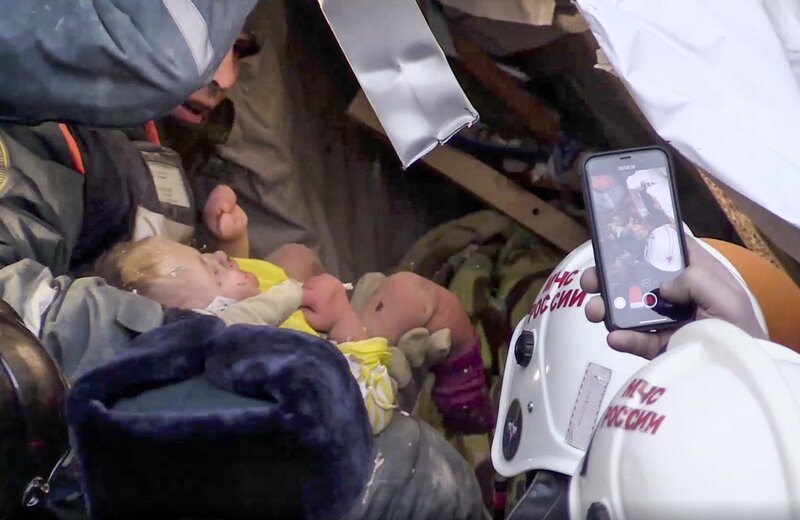 The boy’s mother survived the collapse and went to a local hospital to identify him, state news agency Tass reported, citing the regional emergencies ministry. The child will be evacuated to Moscow by airplane for further treatment, Tass said. In a separate holiday period disaster, seven people including a couple and their three children died in a house fire in in the town of Orsk, about 1500 kilometers (900 miles) southeast of Moscow, the Interfax news agency said. The fire early Tuesday is believed to have been caused by an electrical short-circuit, the report said. This story has been corrected to give gender of the baby as male following new information from officials.